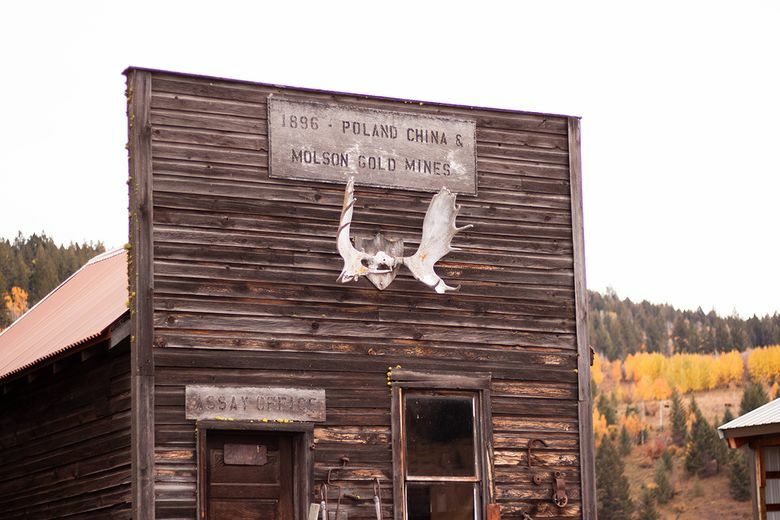 If you’ve never experienced a ghost town, then make sure to add it to your bucket list right now. 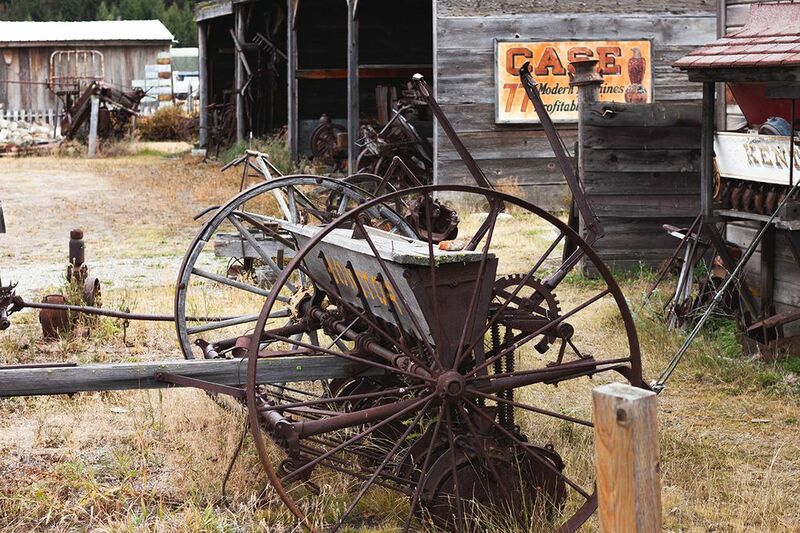 And then head on over to Okanogan Country, where you’ll find an assortment of ghost towns to explore. Begin with Old Molson Ghost Town. It’s the perfect autumn destination for a truly memorable family adventure. Located a few miles east of Oroville, Molson (current population 35) is so close to Canada that your cellphone will be asking if you want to switch to international roaming, so take a break from the constant tug of alerts and messages, leave the phones in the car and go exploring! The ghost town itself is open year-round during daylight hours. It’s easy to imagine what it might be like to live here — the one-room log cabin, once home to a family of four, is a great exercise in creating thinking — who would sleep where? How cold would it get in the winter? How would anyone get any privacy? What could you do for entertainment? The questions are endless. The nearby blacksmith’s shop has all kinds of implements and tools that can be touched and examined, as does the bank across the street. Kids will love the old dog houses outside of the cabins, too — at least some things haven’t changed much! There’s something about walking along the faded dusty track where long ago pioneers and settlers lived, laughed, worked and played that brings you back to you a certain presence that can’t be mimicked. No book, movie or virtual reality can replace the vividness of first-hand experience, feeling the splintered wood plank siding, smelling the dust and tar, and touching the rust on the old farm tools and wagon wheels. Depending on the time of year, the nearby Molson Schoolhouse Museum is open from Memorial Day till Labor Day and has a phenomenal collection of memorabilia to see. If you want to keep going, there are more ghost towns to explore in Okanogan Country, but they get more remote and harder to reach. Some are on private land, but there are several on Forest Service land as well. After your adventure, it’s time to head to town and check out the fruit stands, farmers markets and roadside attractions for some delicious treats, right from the farm to your chilled fingers. Stop by Smallwood’s Farms and enjoy their gorgeous pumpkin patch, as well as fruit, veggies, preserves, local soaps and candles, and much more. Once fortified, head on down to Grand Coulee Dam. The visitor’s center is open year-round and you’ll love the history and the sight of one of the largest concrete structures in the world. Plus, if you are lucky, you’ll catch a glimpse of the famous Sasquatch of Disautel Pass. Just keep your eyes open and look up and to the north as you are nearing the top. 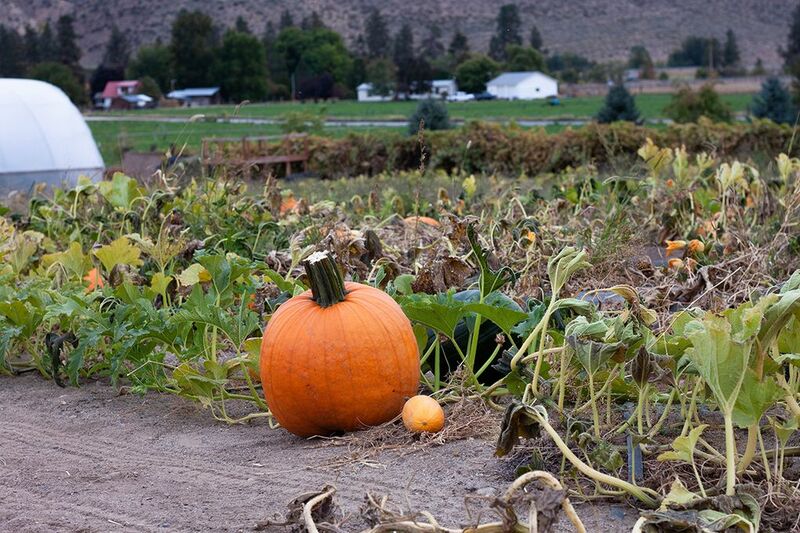 Okanogan Country’s locals generally consider fall to be the very best season of the entire year, so get your car packed, grab the kids (and the dog!) and head on over for a memorable autumn adventure you’ll never forget.